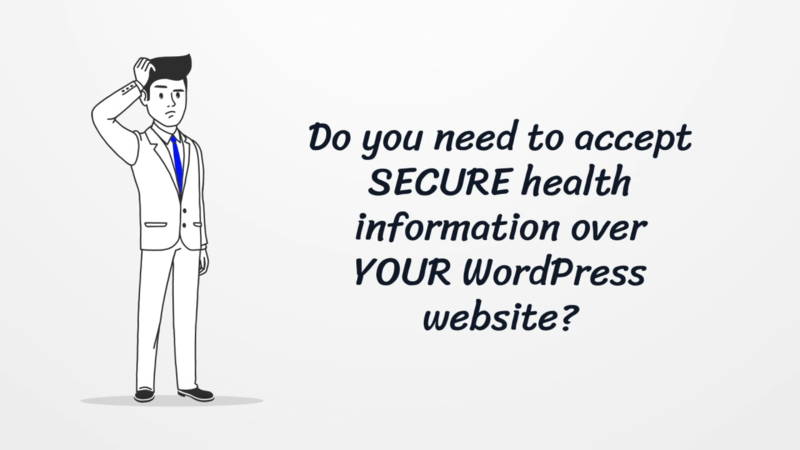 THE ONLY HIPAA FORM SOLUTION SPECIFICALLY FOR WORDPRESS! DEVELOPED & SUPPORTED IN THE USA! If you intend to take health information over a website you need HIPAA compliant forms! Traditional forms are designed to email the form data on submission, this is how most form builders are setup for WordPress & is NOT HIPAA compliant. If you configure your forms to save to a database instead of sending through email you still won’t be HIPAA compliant if that database is not encrypted & if you don’t have a BAA in place with your hosting provider. Even if you do get a BAA in place with your hosting provider, encrypt your forms & encrypt your database you still need to ensure that accessing the data is secured behind login protection AND ensure that it’s logged each time someone accesses it. There are a lot of factors to consider when it comes to taking patient health information or “E-PHI” over online forms from a website, complying with all regulations accept one means you’re still not HIPAA compliant. Fortunately our HIPAA Forms plugin & API service solves these complex compliance issues enabling you to take electronic health information over your website securely, easily & affordably. Our plugin makes things easy by allowing you to simply check a box next to a specific form built with Caldera or Gravity and instantly making your Caldera or Gravity forms HIPAA compliant forms. Start using HIPAA Web Forms for FREE now!